All of our badger reels have the durable retractable ropes that make it easy to access your cards and badges. 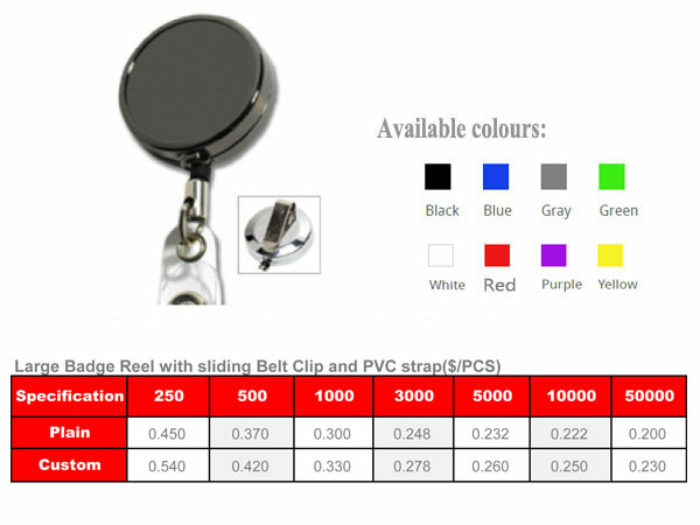 You will find good quality badge reels in standard or unique styles in our stock—at the competitive price guaranteed! 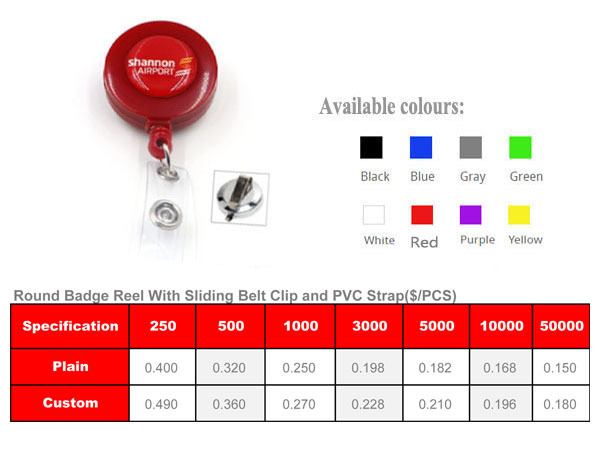 Badge Reels allow you free to carry your ID card or badge. These convenient badge reels’ accessories with a compact shape – usually square or round that suits well on any institution, and retracts so you can have easy access to your badge reel without a tangle of cords. 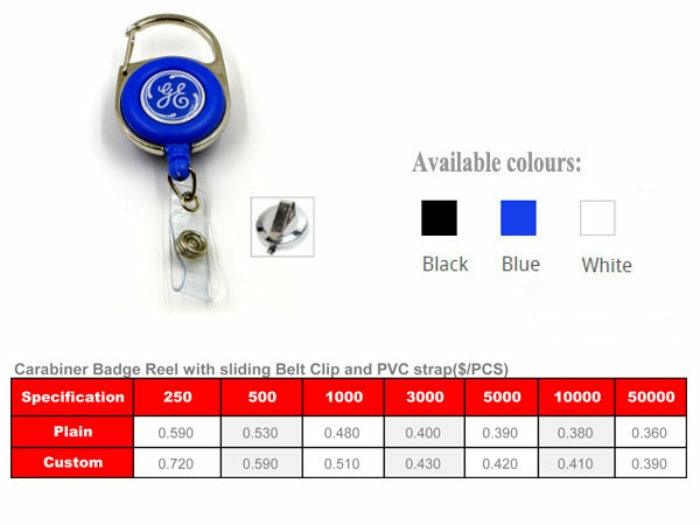 Flexible Badge Reels are particularly useful for active work or sporting environments. 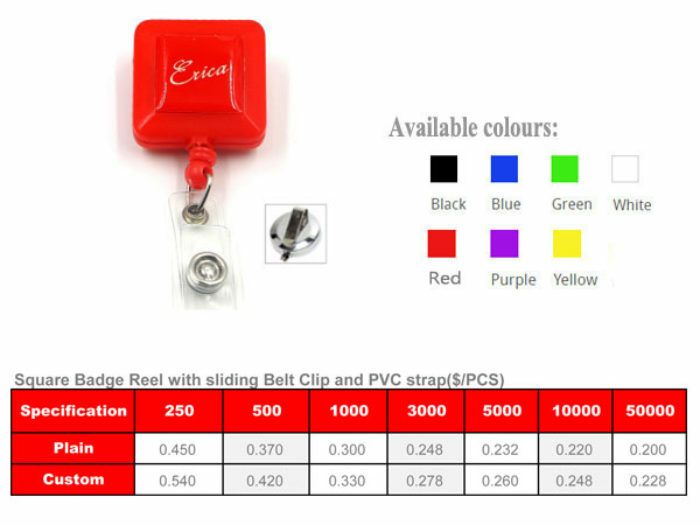 Badge reels are a convenient and customized way to wear and display ID cards. Custom and standard badge reels offer the same convenience and functionality, allowing you to wear your badge while providing easy to identify people. Badge reels are designed to carry ID cards easily accessible, in order not to interfere with work or compromise worker safety. Custom and standard ID badge reels provide the same convenience and functionality, allowing you to wear your ID badge while providing easy way to clock in and scanning devices. Both are designed to keep ID cards readily accessible and it’s a better way to show the ID cards information. If you are simply looking for a badge accessory to replenish your ID program, we are confident that you find the right place by ordering our selection of standard badge reels, available in a broad range of styles, attachment types, clip cover shapes, and colors. We have an unbeatable selection of badge reels that can be ordered online – standard, heavy-duty, custom printed, and even reels are designed specifically for events. All of our badge reels are durable retractable that make it easy access your cards and badges and it’s a perfect option for ID cards that works well with most badge holders. 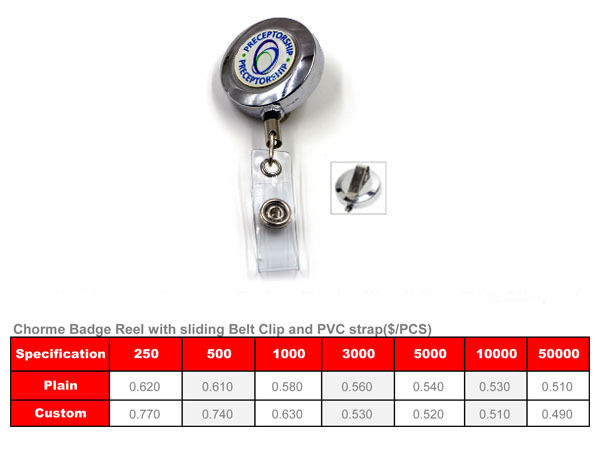 There are countless reasons to buy badge reels for your company If you own a small business and when customers enter your factory, they may not be able to recognize who is a member of your company. Therefore, you have to provide some kind of fast way to identify your employees for your clients or other people. The badge reel can do this very effectively and it does really in an extremely cheap way. If you are asking your staff to wear ID cards you should also ask them to wear reels. This small gadget is an item that can be worn by anyone. It is not gender specific the age of the person does not matter. It is also a product that can be used by individuals regardless of their size. This gadget is also safe to use around almost every type of equipment. And another advantage is these items will not damage a person’s clothing. They can be worn with the finest suit or silk blouse. Furthermore, reels can be combines with almost any kind of uniform.